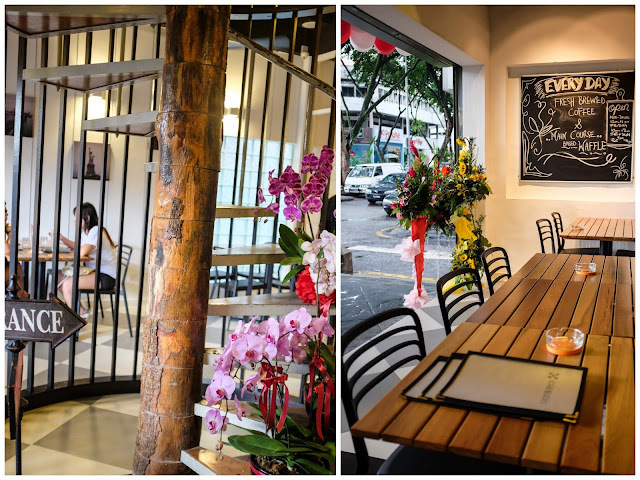 Former engineer Terence, his marketing-whiz girlfriend Michelle & their chef-partner Fazli have made a timely leap to the forefront of the Klang Valley's waffle scene. 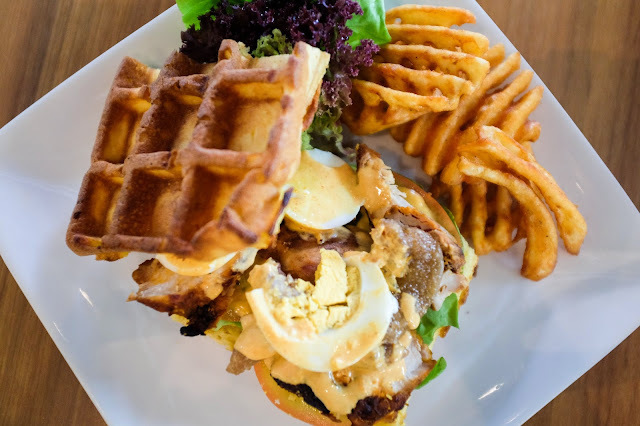 Waffles-&-chicken are no longer a distant dream, thanks to Chequer creations like the Chicken Cobb Sandwich, featuring waffles with shredded chicken, hard-boiled egg, avocado, beef bacon, plum tomatoes & curry mayo. Alternatively, there's also the Chicken Square, with spicy waffles complemented by square-cut chicken, purple raisin slaw, chicken jus & sriracha sauce. 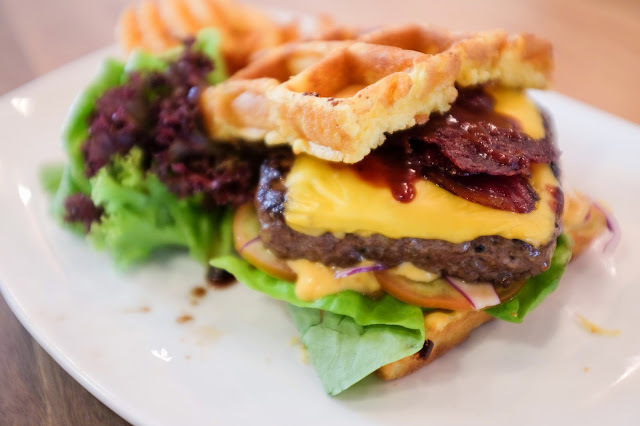 Moo Moo, basically a waffle burger, with sirloin beef patty, cheddar, slaw, relish, crispy bacon & berry BBQ sauce, showcasing the skills of chef Fazli, a vet of establishments like Garibaldi & The Morning After. 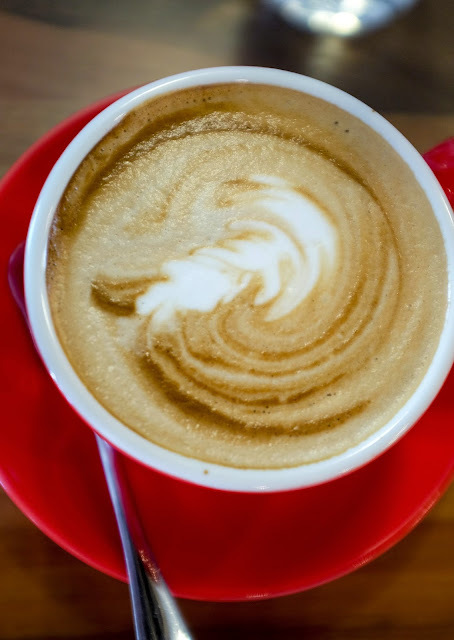 Are these recipes perfect? 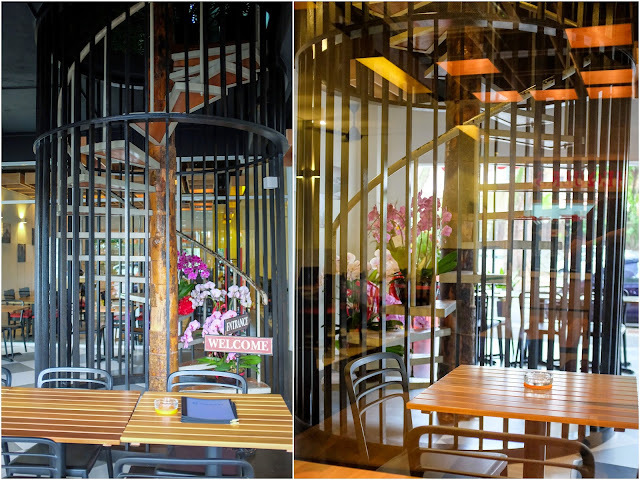 No (some need more sauces, others could use fine-tuning in the choice of components), but they're still convincingly tasty & competently textured, hearty & well-priced, served by a hospitable & enthusiastic team that wants customers to leave satisfied. 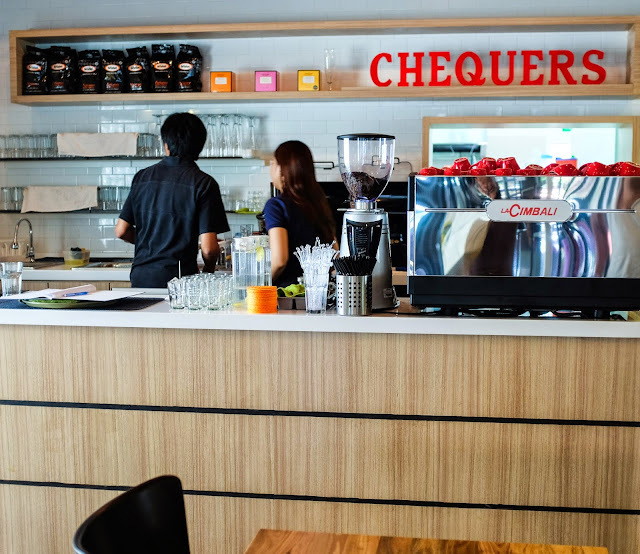 Chequers' waffle version of Eggs Benedict with watercress salad makes for a fun change. 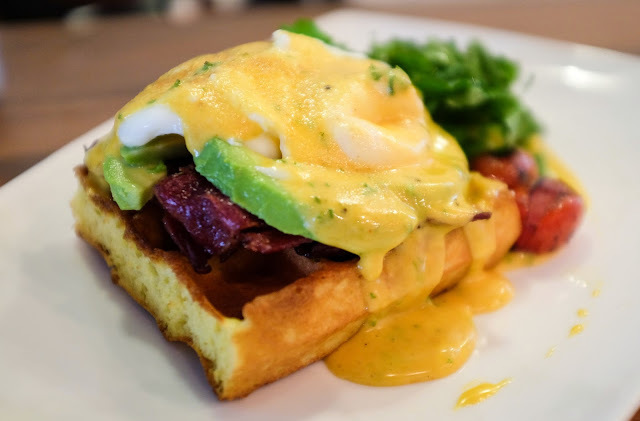 We like how several different types of kitchen-made waffles are available at Chequers, creating a more compelling sense of variety - this 'Down Home Benny' comes with extra-crispy waffles, while other offerings might surface with, say, waffles laced with pumpkin & cinnamon. 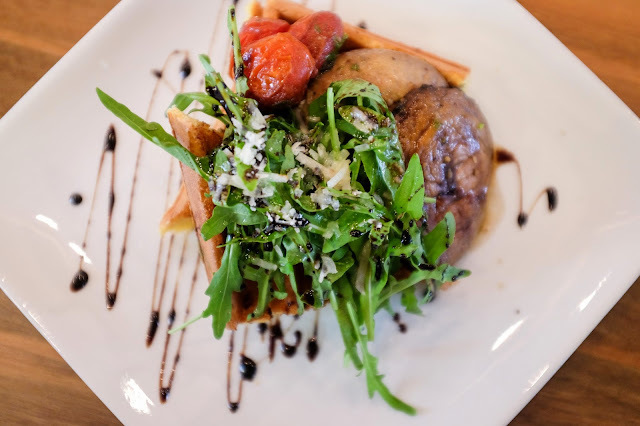 Bonus trivia: Terence & Michelle were inspired to start a waffle place following their food experiences in the U.S.
Of course, there's a vegetarian waffle too - tinged with bits of spinach, topped with a grilled portobello mushroom, glazed cherry tomatoes, balsamic reduction, rocket salad & shaved parmesan. 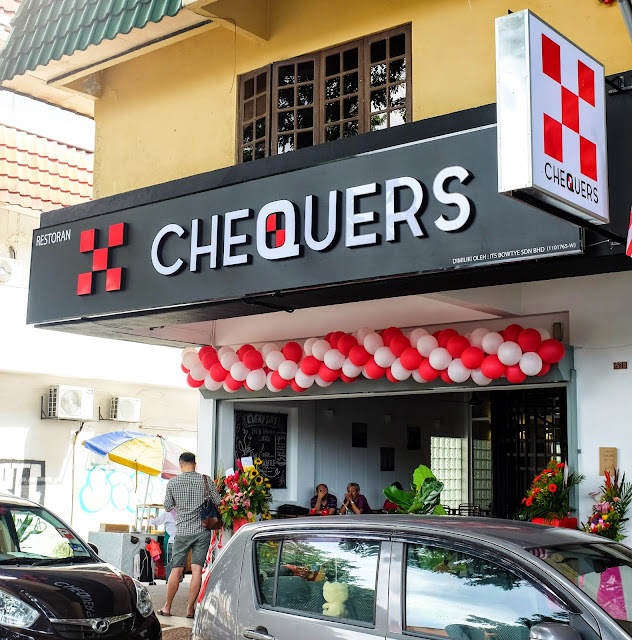 Chequers can still push the envelope further with even more imaginative combos, but this works well enough for a promising beginning; the team says it tried out some Asian flavours, but chose to start with a streamlined Western selection first, which functions fine for consistent flavour profiles. 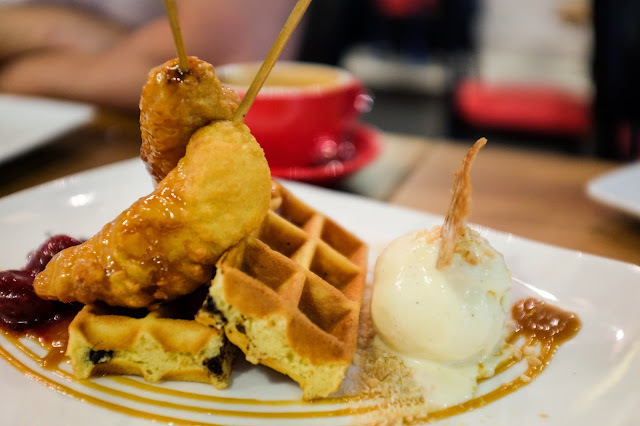 Still, there's something akin to a 'goreng pisang' waffle on the dessert list - it's called 'Melting Moments', comprising a waffle studded with chocolate chips, teamed with deep-fried bananas, salted caramel sauce, coconut & almond vanilla crust. 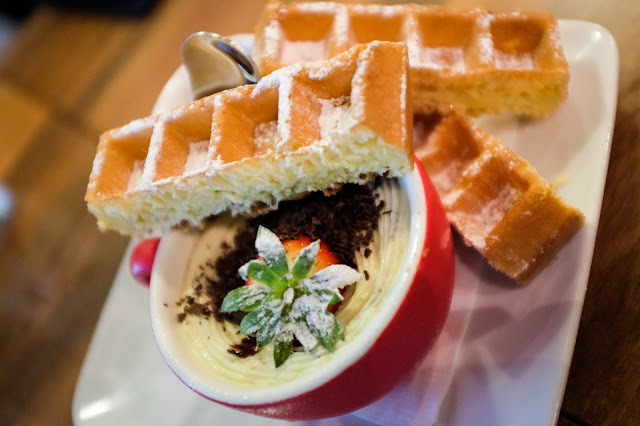 We're fans of the tiramisu, soft & creamy, served with espresso & wonderfully fluffy waffles. 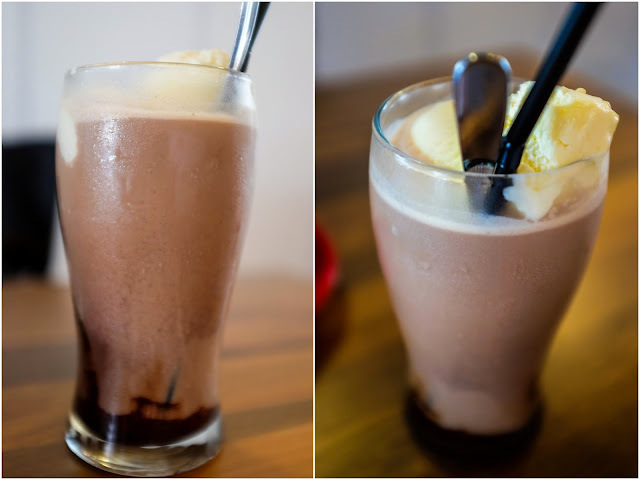 Coffee is available, as are root beer-based beverages (like this one mixed with chocolate, milk & ice cream), but the star of the show is ultimately the waffles at Chequers, a destination that deserves attention this December. Head here soon before the crowds come.